Dentists beware! Once the presents have been unwrapped, the turkey eaten and the new year rung in, a return to the surgery in January will almost certainly see the waiting room inundated with patients. The festive season is of course one known for providing many a treat for those with a sweet tooth. Right from childhood, Christmas offers a myriad of cakes, biscuits and sweets to be enjoyed on and around the 25th December. For a real slice of pure enjoyment, there's nothing like an Italian Christmas sweet. Italy is known for its recipes that combine taste and a unique piece of home. So to get you into the festive spirit (but hopefully not the dentist's chair), here is a selection of 10 brilliant Italian sweets! 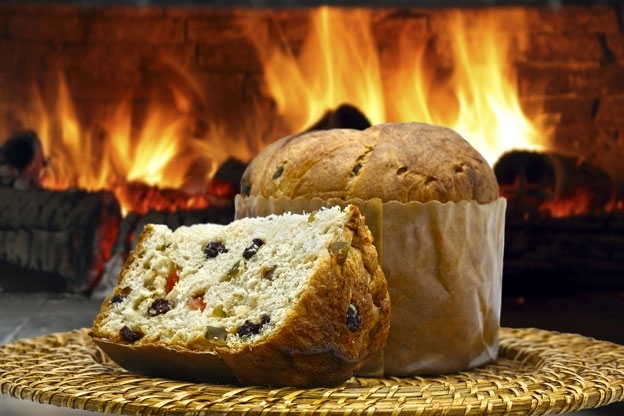 The quintessential Italian Christmas cake, Panettone is eaten during Christmas and New Year not just in the homeland, but all over the world. The dome-shaped sweet bread fruit loaf contains that special mix of raisins, candied orange, citron and lemon zest. Ughetto Atellani was clearly onto a good thing back in the 15th century when the nobleman is said to have prepared a prototype Panettone to impress the baker's daughter, Adalgisa. Today, its value for money, ready availability and delicious taste add up to the perfect Christmas dessert. It can be enjoyed in many ways – whether on its own, with chocolate in the mix or with a dollop of Mascarpone cream on the side. Preparation time for Panettone can take a fair while though. 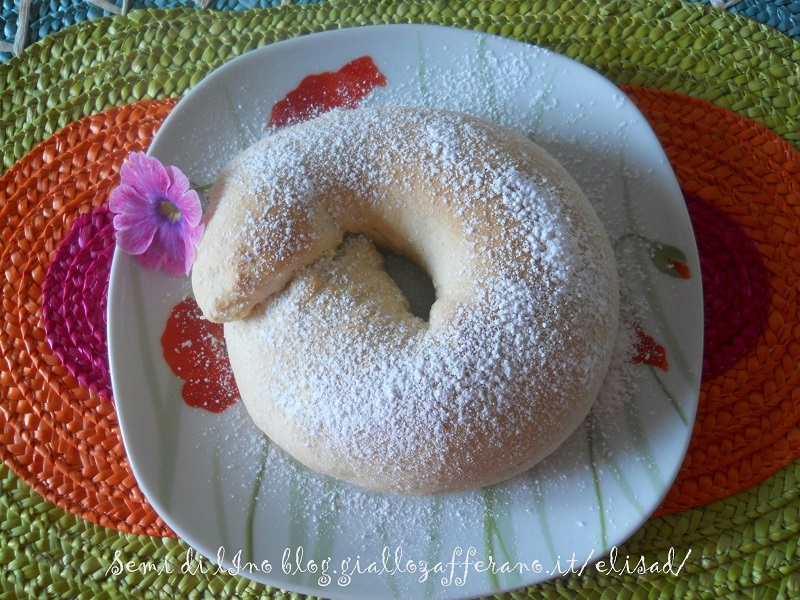 Proofing of the dough can take a long time – which results in the unique fluffy properties of the cake. Panettone dough is a similar deal to sourdough, rising and falling three times. The results are well worth the wait though – with that tasty mixture of fruit and freshly cooked sweet bread guaranteeing a booking at any Christmas table. We're gonna make you a star this Christmas. Pandoro is a mouth-wateringly good cake that's traditionally baked in the shape of an eight-pointed star. Pandoro translates as Golden Bread, and this cake (originating from Verona) has a healthy golden colour: it's said that the fresher the egg, the more golden the colour. Fresh farm eggs should do the trick, and they're added to the mix which takes about a day to prepare. The mixture is poured into a star-shaped mould and once baked, is best served with a suitably snowy smattering of sugar on the top. You can serve the cake with whatever you like, whether Mascarpone or whipped cream or melted chocolate. 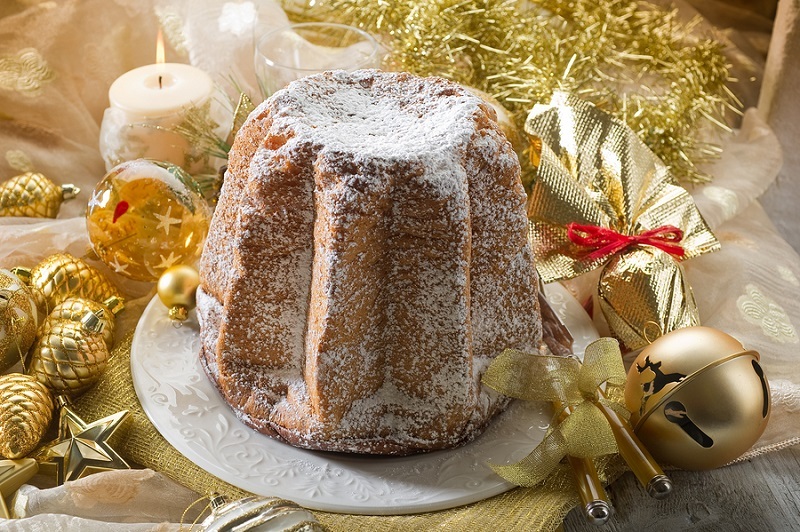 Pandoro is said to date back to the 18th century when it was enjoyed by the local aristocracy. Today, it's enjoyed by all – it's reported that sales of this popular cake total around 117 million every year. One constant of Christmas is that it's big on tradition – so what better time to enjoy a portion of fruit cake tradition? Panforte is a traditional dessert that contains fruit and nuts, not to mention honey, spices and almonds. Panforte translates as Strong Bread which apparently goes all the way back to Siena in the 13th century. 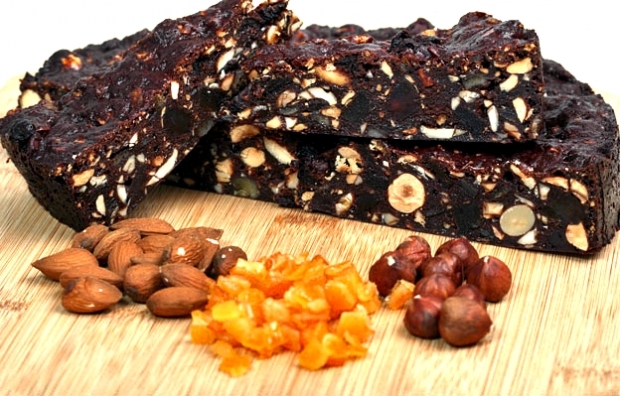 Back in 1205, Panforte was used as payment for the monks and nuns of the local monastery. This popular dessert is hugely popular in its homeland – it's relatively easy to make. The sugar is dissolved in honey and nuts, with the mixture of this and the fruits and spices blended together and poured into a shallow pan to cook. Again, a topping of icing sugar is recommended for that final Wintery flourish. Variations of this great dessert include Panforte nero (a darker version with an underlying taste of almonds) and Panforte Margherita (a lighter, more delicate version which was originally devised by Enrico Righi in the 19th century to be served to a visiting Queen Margerita). What's in a name? These delicious sweet fritters from Calabria are also known as Turdilli or Turdiddri. They are a favourite festive dish as part of a Calabrian Christmas dinner or tasty snack in the lead up to the big day. The recipe uses flour, eggs and wine but different seasonings can be used too – common favourites are orange zest and cinnamon. Alcohol is used in the preparation of Tordilli dough – notable examples include Marsala, vino bianco moscato and sherry. The end product is a fantastic sweet that's suitably intoxicating: Once you have one, you won't be able to stop! You know those Christmas baubles that are part and parcel of the Christmas tree? Sprinkled with a touch of glitter and surprisingly light (in my experience, these always require careful attention when decorating trees given that they're so fragile). 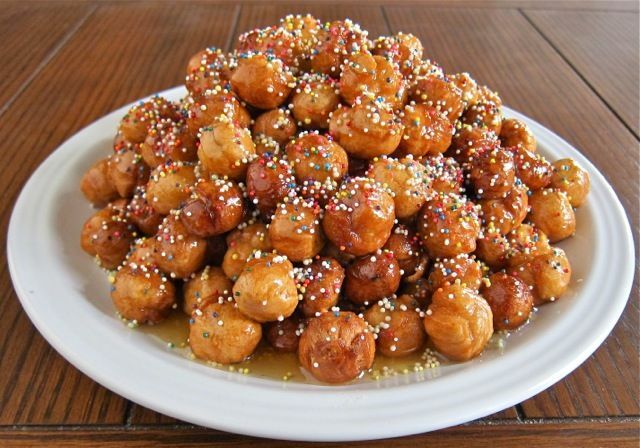 What better snack while decorating the tree than Struffoli? Like the traditional bauble, this Neapolitan delicacy is light and drizzled with colourful sprinkles. These deep fried snacks can be mixed with honey or any other sweet ingredient you choose. Greek poet Archestratus once extolled the virtues of this dish (or at least a similar sounding one), describing a “dough ball fried on olive oil” in his Gastronomy. Preparing Struffoli is great fun – pop the dough into frying oil until they turn golden brown and then add honey and drizzle with sprinkled colours for that perfect Neapolitan Christmas treat! If you're catering for the pasta fan this Christmas, be careful that you don't confuse the Ravioli with Caggionetti, the equally sumptuous fried dessert. Caggionetti looks a bit like the popular pasta dish, but instead of meats or vegetable fillings, it houses a sweet filling that can be made with honey, chocolate, rum, lemon or chestnuts. There are different interpretations of the recipe, but you can prepare it exactly to your liking. Back in the day, it was a sweet commonly handed out after Mass in the festive season. It originates from Abruzzo and today, is seen eaten by many from the November run-up to Christmas. What can be a better Winter warmer than a cookie? Whether enjoyed in the morning with a hot cup of coffee for breakfast or as a taste-quenching snack in its own right any time of the day, cookies are always hot property this time of year. 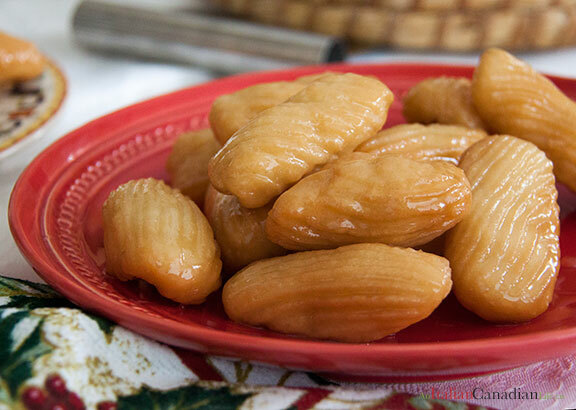 A great little Christmas cookie is Buzzolai, which comes from Dalmatia. Its made in the shape of a ring or a coin. The mix includes honey, almonds, cocoa, walnuts and the zest from an orange or lemon. Add some spice this Christmas with these fabulous cookies. 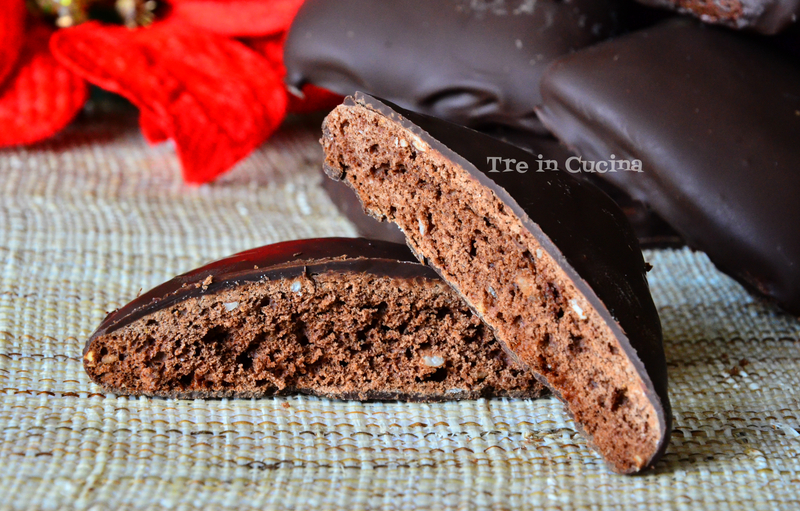 Mostaccioli cookies are made with chocolate and just a hint of spice. 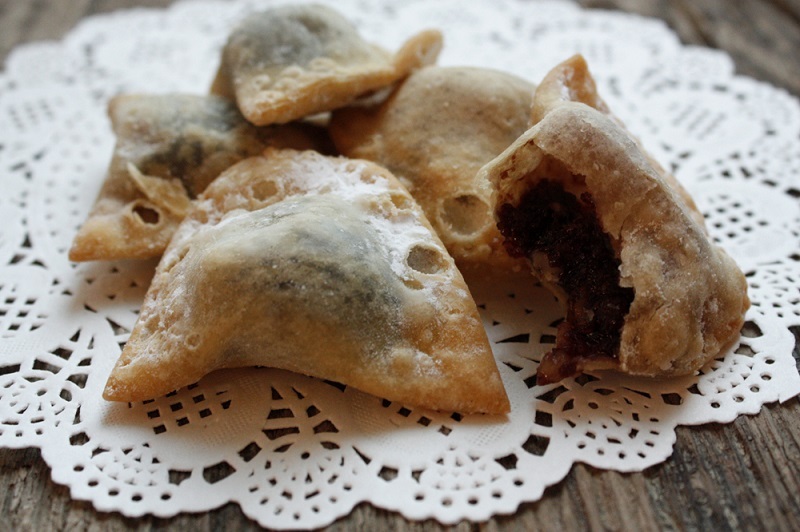 The name and the origin of these cookies is said to have come from the old farmers in the Campania region. They offer a great taste that combines the sweet and spicy: Again, there are a number of variations on how you sweeten this cookie. Honey is the main choice, although you can also use lemon or cinnamon in the mixture. Looking for a taste of the Middle east in your Christmas cookie? Then you won't go wrong with Ricciarelli. Making for a real high quality Christmas treat, Ricciarelli is made in the shape of an oval diamond. The story goes that a knight called Ricciardetto della Gherardesca came back from the Crusades. In order to celebrate his return, the knight wished to make something that contained a little flavour of the Middle East. With almonds used in the recipe, these offered the requisite reminder of Middle Eastern cuisine – some also say that the shape of the cookie resembles a Turkish slipper. It's made to a simple recipe with outstanding results: the combined taste of almonds, lemon zest and vanilla extract (capped off with the customary coating of icing sugar) makes for a fine Christmas sweet and is best enjoyed with a complementing desert wine. 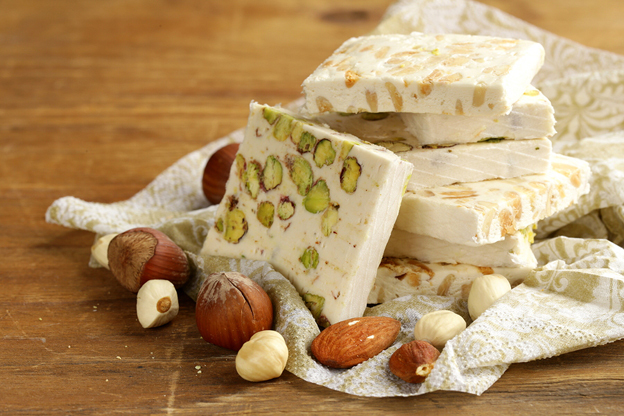 Nougat is another popular sweet to enjoy in the Christmas season, and Torrone is one of the finest of its kind. A traditional sweet to be enjoyed in December time, Torrone is a nougat that's enjoyed all around the world – the Italian version does have some subtle differences to other countries in that less nuts are used to make the final product. Torrone can vary in texture and cater for both tastes, whether soft and chewy to harder and more brittle. The oldest Torrone is said to pre-date the Roman period in history. Torrone di Benevento was widely recognised in the area of Samnium. Today, the nougat is prepared with honey, sugar, egg whites along with a handful of toasted almonds or other nuts. You can also add other flavours such as vanilla or lemon to sweeten the taste further still. If you or a loved one enjoy Italian desserts and sweet treats, "La Dolce Vita" Eataly Christmas box is the ideal gift - buy it now in our shop!